When Amira put her faith in Christ, she knew life wouldn’t be easy. But hiding her conversion from her Muslim family soon becomes the least of her worries. Forced to leave the only home she’s ever known, she travels to the island of Gabeburough, trying her best to make a fresh start. Two escaped convicts and a treasure map. A leafy paradise that becomes her home. Amira begins to wonder, where is her Redeemer when she needs Him the most? Caleb Haddington is prince of Carpathia. Life should be perfect, but he can’t get a certain dark-haired girl out of his mind. Amira was his best friend when he lived in France, but her letters to him have suddenly stopped. Her last letter is filled with terror that her faith will soon be discovered. Only a single hope keeps him alive; when the time is right, he’s going after her. He’ll bring her back and prove to the kingdom that he’s a man. But the journey proves to be more perilous than he’d ever imagined. Ridicule, comfortless days, and the threat of a hurricane are just the start of his problems. Lying becomes easy for Caleb until his own life crumbles before him. Brought to his knees under the pressure of his actions, he comes to realize the sweetness of his Savior. Forgiveness, grace, and mercy are granted fully to those who ask. 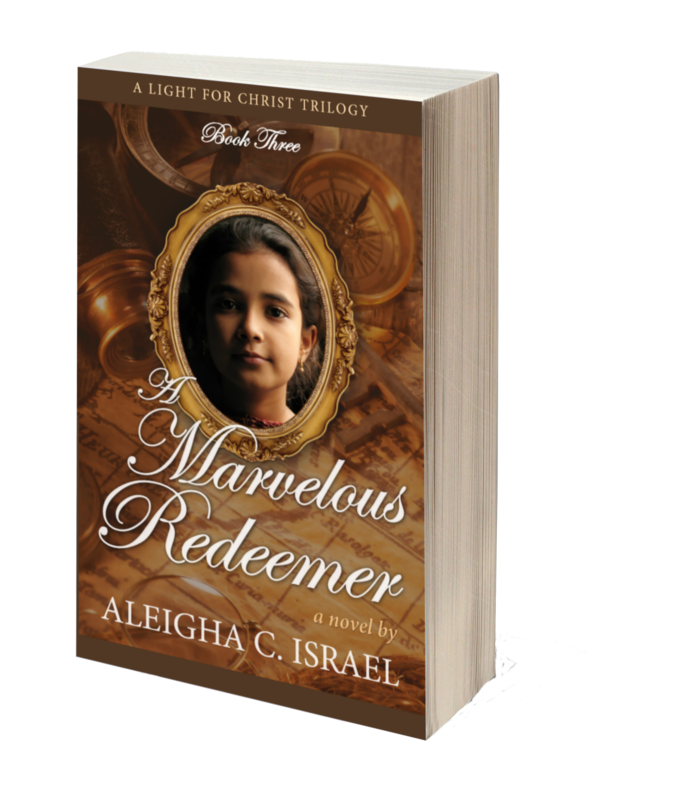 Caleb and Amira soon discover that they don’t just serve a gracious Savior, but a wonderful, magnificent, Marvelous Redeemer. 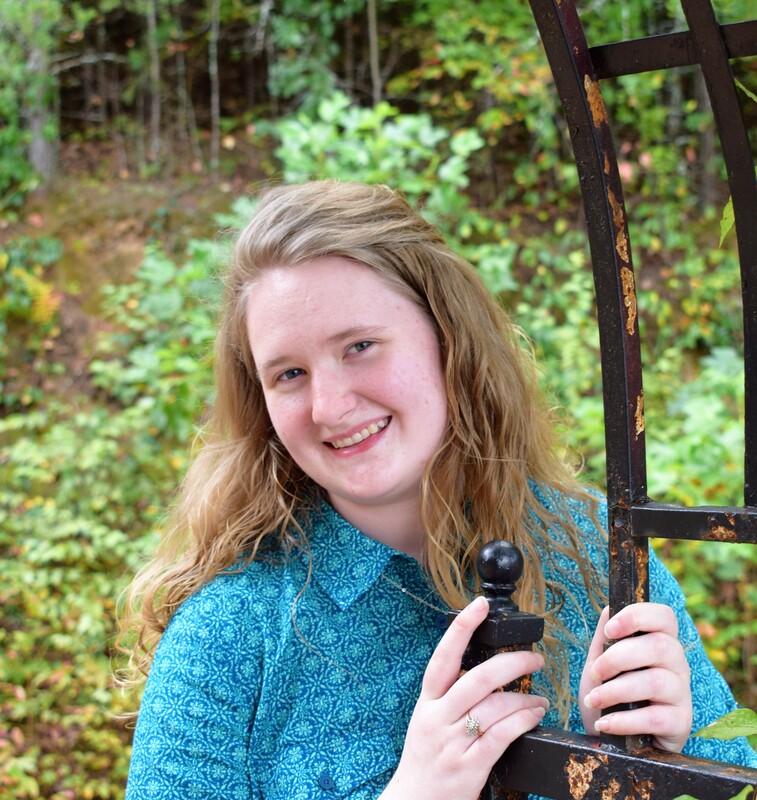 ALEIGHA C. ISRAEL writer of inspirational fiction and poetry, is an author of multiple books and enjoys sharing God’s love through the powerful art of storytelling. Her trilogy “A Light for Christ” is distributed by Grace and Truth Books and has been enjoyed by ages nine to ninety-three! Aleigha is a Student Mentor over at the Young Writers Workshop and she’ll be quick to tell you how amazing that community is. She doesn’t have to search very hard for inspiration. Living in the Israel household, it’s guaranteed there’s an adventure waiting around every corner! 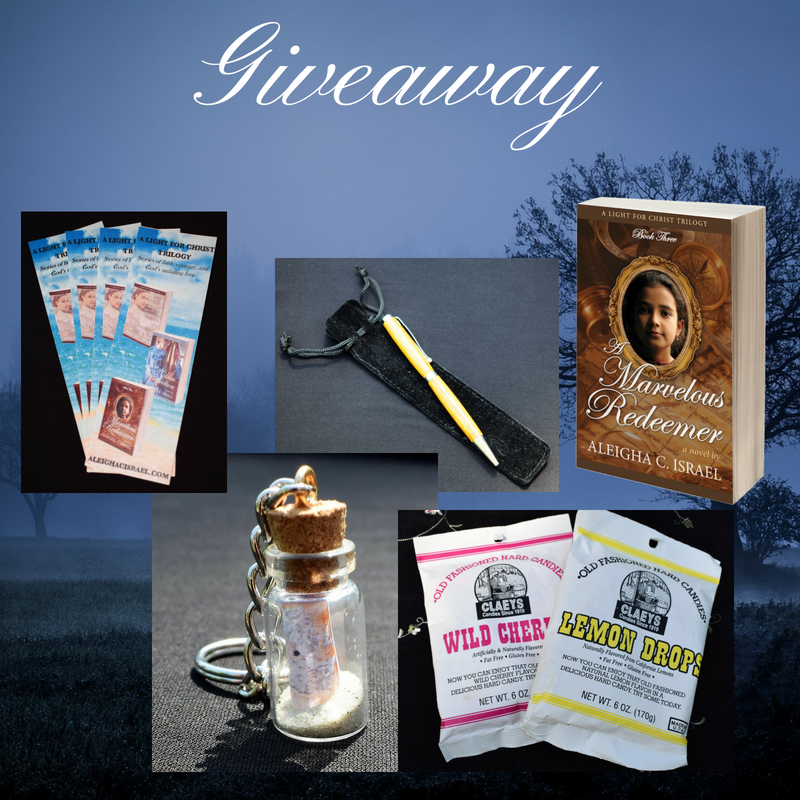 Aleigha is generously offering a basket of gifts including old-fashioned candies, 4 bookmarks, a pen, a paperback copy of the book, and a little bottle on a key chain. You can enter at this link: https://kingsumo.com/g/ko9bwa/a-marvelous-redeemer-giveaway. This is one of my FAVORITE books. And I’m going to tell you why. This story is compelling, powerful, and full of hope. It’s one of those books that puts you on the edge of your seat and keeps you there. The plot was well developed and full of plot twists. I don’t like boring books, and this book was far from boring. I was already intrigued by the time I finished the first chapter. This book was so REAL to me. I was worried for the characters. I laughed with them. In this book, they learned a lot, and so did I.
I HIGHLY recommend this book, and I think anyone who reads it will love it. It may take a little while to read, because it’s rather long, but it’s worth however much time it takes you to finish.